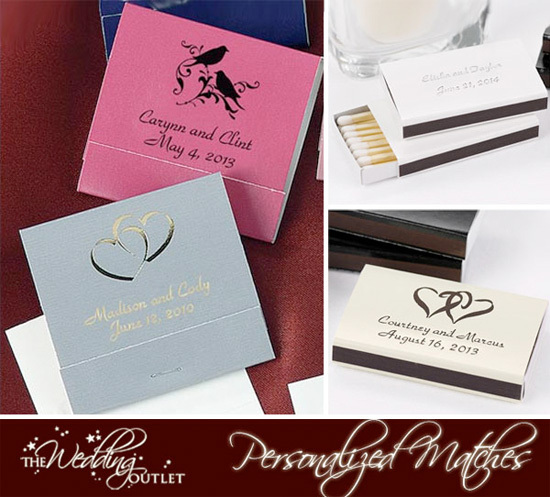 Personalized Matches are a popular favor for wedding receptions, or any special event. They are available in matchbooks or matchboxes from The Wedding Outlet. Customize them by color, logo design and font styles. A great presentation idea is to fill dishes with matches at each table, cocktail bar and outside sitting areas. And . . . 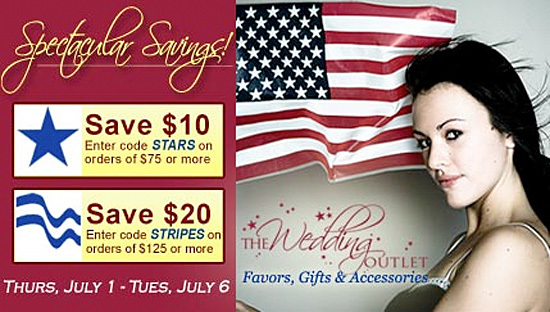 The Wedding Outlet is having a sale staring today through Tuesday.